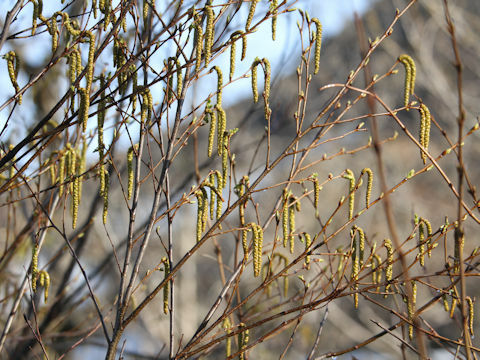 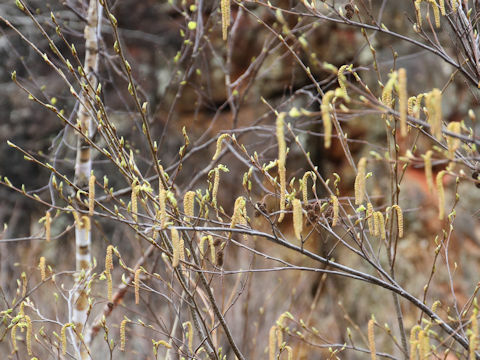 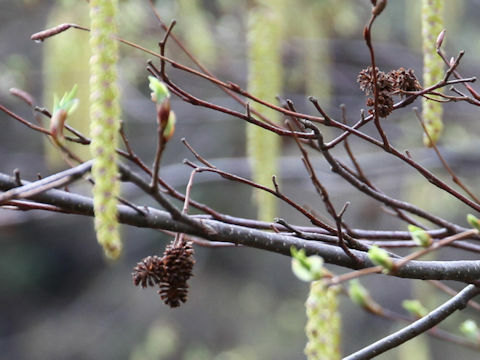 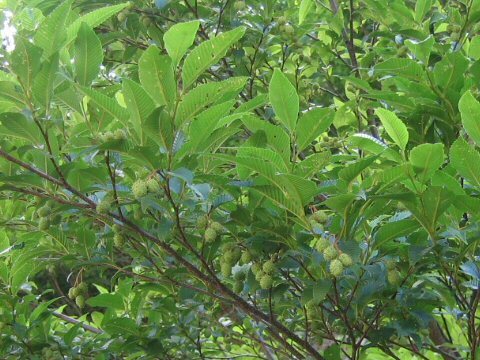 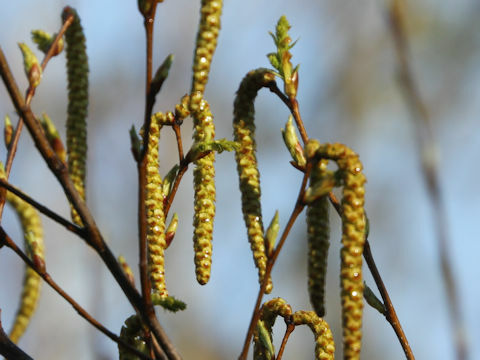 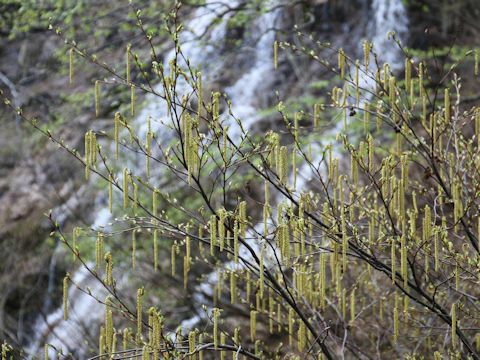 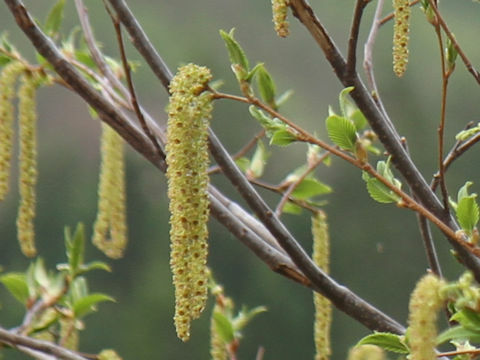 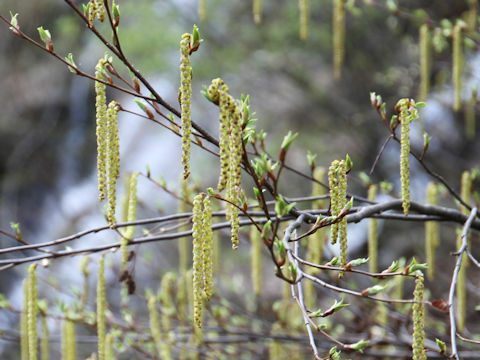 "Hime-yasha-bushi" (Alnus pendula) belongs to the Betulaceae (the Birch family). 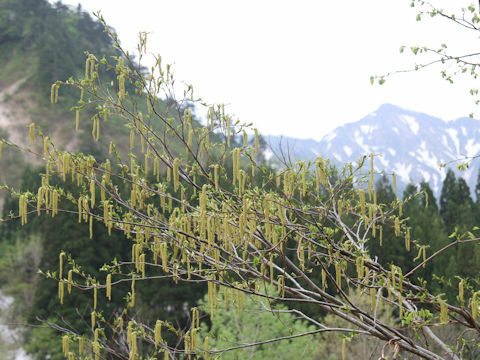 It is a semi-tall deciduous tree that is native from Hokkaido to Honshu and Shikoku. 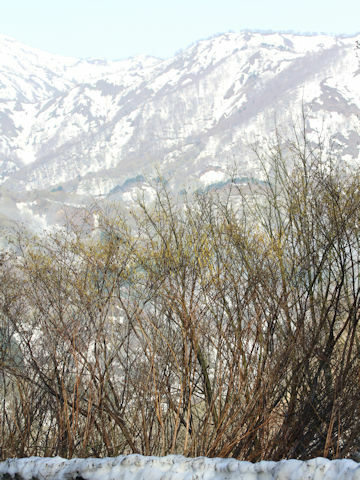 This tree grows on montane landslide scars and it can reach about 10 m in height. 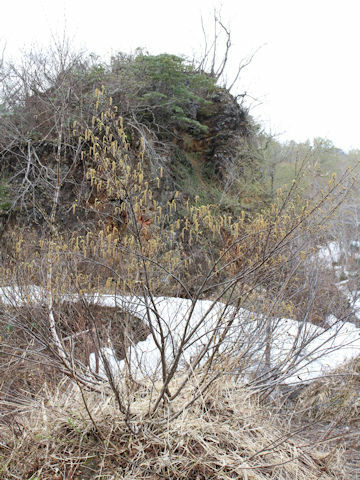 It is much branched and the narrow-ovate to broad-lanceolate leaves are alternate. 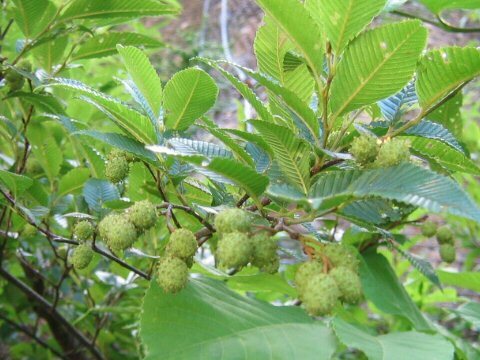 The leaves are slightly smaller than "Ooba-yasha-bushi" (Alnus sieboldiana) with doubly serrate margins and secondary veins extending to leaf margins. 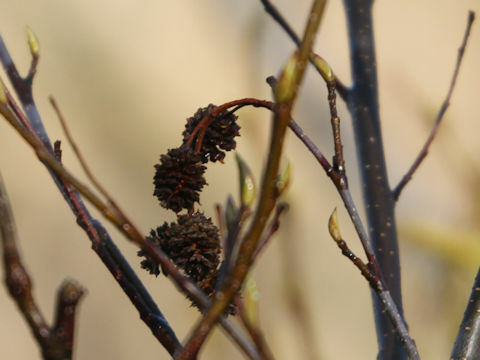 The male clusters bloom descending atop of twigs and the 3-6 female clusters bear at the beneath axils from March to April. 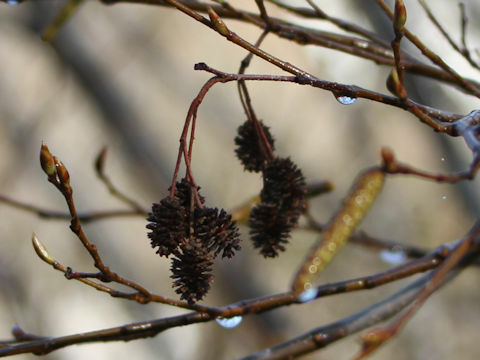 The fruit clusters are drooping halfway of twigs.